While your computer is downloading something like a game or video, it’s frustrating to wait forever to finish the work. And this problem happens to many people, especially that you know you have a good Internet connection. But don’t be upset. We’ll help you fix the download speed slow issue. How to fix slow download speed? Since many technical problems can be resolved by restarting, it never hurts to restart your computer, and even your computer. Often this will be enough to fix the download speed slow problem. It will rebuild a new connection for your computer by restarting, and that may have a better and more stable Internet connection. So try downloading again to see if it works. If the download speed is much slower than the speed that you expect from your plan, you should first test your Internet speed. Then contact your ISP for the slow speed issue. If that’s your Internet plan, you should consider upgrading your plan to have a faster Internet. If not, it’s possibly due to the unstable Internet, and you can also try the following methods to fix the slow download speed issue. While you’re downloading, you should turn off the bandwidth-hogging programs in your computer, such as the loading webpages, videos that are playing, or the applications that requires WiFi speed. In doing so, you can prevent some other applications or services from eating up your Internet, so you can have a faster download speed. In addition, you’ll get the slow download speed if your computer is updating software or services in the background, so you’re recommended to set your computer to notify you before downloading any updates. A missing or outdated network driver can also lead to the download speed slow problem. You should make sure your network driver is up to date. There are two ways to download the network driver: manually and automatically. 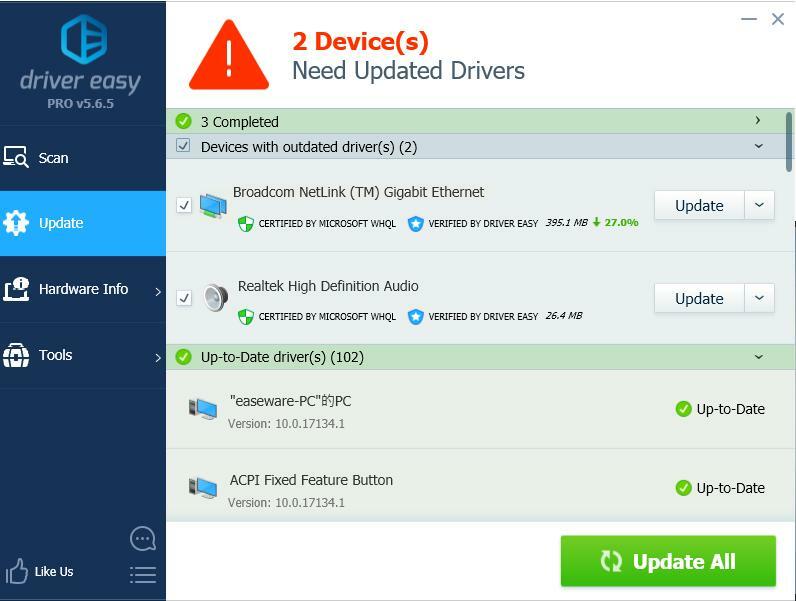 Manually update the driver – You can go to the manufacturer’s website, find the latest version for your network driver, then download and install it in your computer. Be sure to install the driver that is compatible with the OS running in your computer. This requires time and computer skills. 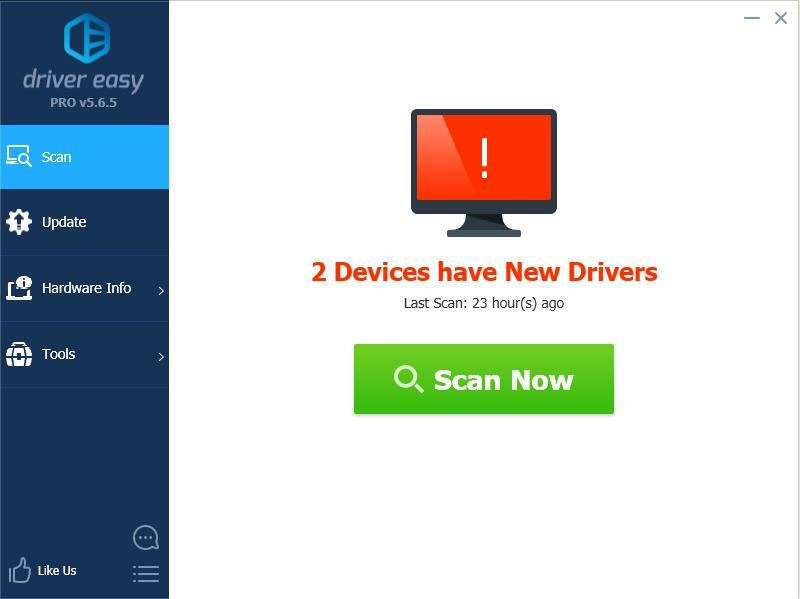 Automatically update the driver – If you don’t have time or patience, you can do it automatically with Driver Easy. Click the Update button next to your network card to automatically download the correct version of their driver (you can do this with the FREE version). Then install it in your computer. Try to download again and see if it gets better. Sometimes your download speed is slow because of the improper IP configuration, so you can follow the instructions below to renew the IP address in your computer. On your keyboard, press the Windows logo key and R at the same time to invoke and Run box. Type cmd and click OK to open Command Prompt. 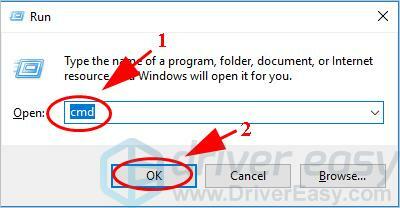 In Command Prompt, type the following commands, then press the Enter key after each command. Once completed, exit Command Prompt. Restart your computer, then try downloading again and see if it works. So there you have it – five solutions to fix slow download speed. If you have any question, feel free to add a comment below and let us know.